W.Bro. Hugh Smylie, P.M. Lodges111 and 154. W.Bro. H. Symlie’s connections with the house committee commenced in 1892, when he was appointed Auditor. 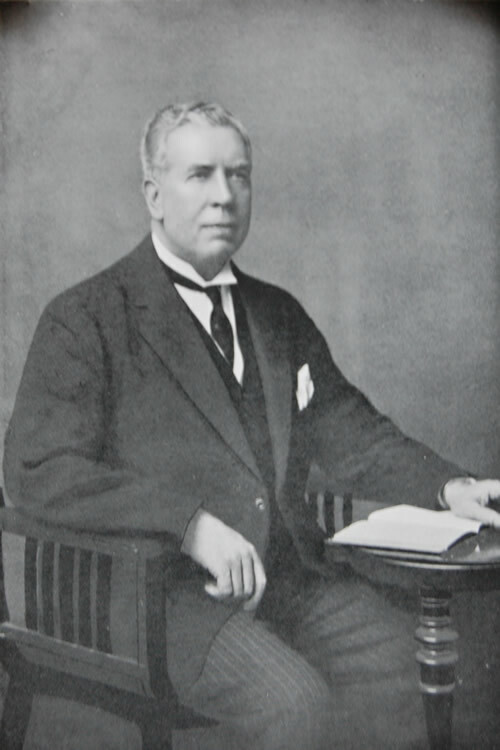 Subsequently, in 1895, he became Secretary, a position he held continuously for many years. It can be readily understood that his intimate knowledge of the affairs of the hall was very valuable to the trustees, who esteemed themselves fortunate in having the assistance of such an accomplished businessman. He was a well-known Chartered Accountant not only in the Northern Province but also in New York, where he had a branch office, and periodically visited the city. For some time he was a member of the City Corporation for Cromac Ward, and had the honour to be a Justice of Peace for the city.